Hawk? She likes cyberpunk, funny stuff and writing things. Probably will never grow out from her interests. Kind of a music nerd, lifts weights, plays vidya games. Likes to jokingly criticize your movie tastes, although is never truly serious about it. Can watch anything, but will remember the weirdest stuff the most. Thinks comic books are bad due to inconsistency, but their characters and artstyle can be nice. Fighting games are honestly the best. NWD Eden (New World Disorder Eden) - ARG. 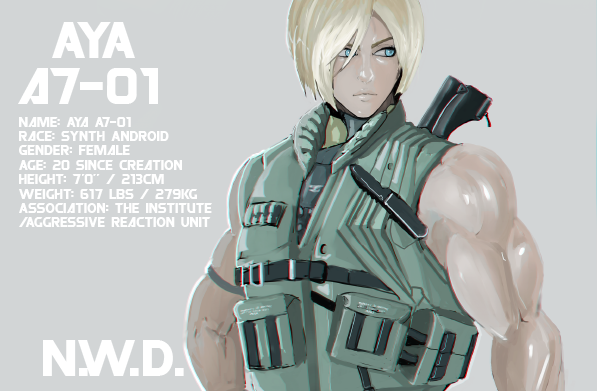 Alternative post-cyberpunk-oriented Fallout universe with its own rules, different technological and social progress, characters and organizations, where the main protagonist is Aya A7-01 - an android who works for the Institute. NWD is set 20 years after the events of Fallout 4. Quantum experiments lead to a terrible cause. The Institute, attempting to reach new heights of progress for mankind, disrupts the flow of time and reality. The research for parallel dimensions and their desire to perceive planes of existence outside the scope of accepted reality lead to an event that changes the universe forever. The calendar starts anew, it's a first year After Collapse [A. C.]. Paranormal events, Eldritch horrors, Odd Humor, Over-The-Top Action and fictional political conspiracies are mixed together in a strange story of NWD. 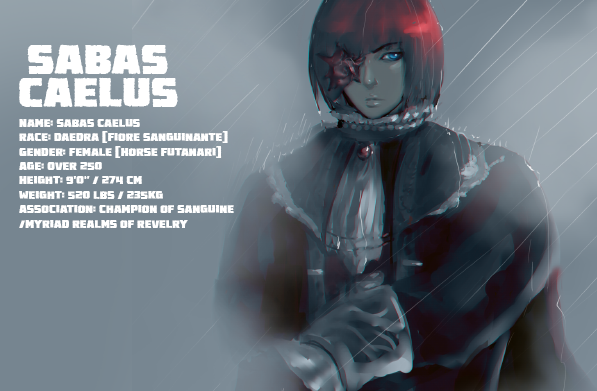 You can also follow me on Twitter (currently most active), Flickr, Tumblr.